A semi precious stone can say so many things, without actually saying anything at all. It can reflect a mood, a feeling, a time period in your life, and so much more. Here at Alpha Imports, we are proud to offer one of the most extensive selections of fine semi precious gemstones available anywhere! The perfect gift for any occasion, let a magnificent semi precious stone show someone special in your life just how much you care. Select from nearly four dozen gorgeous semi precious stone options including Amethyst, Kunzite, Moonstone, Onyx, White Quartz, Citrine, Peridot, Ametrine, Diamond Topaz, Fluorite, Iolite stones and more! If you are searching for a specific stone and don't see it listed on our site, just let us know and we will make every possible effort to get it for you! 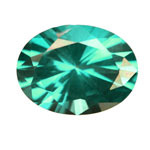 We also offer a great selection of wholesale semi precious gemstones and other fantastic monthly specials. Regardless of the occasion, we want to make certain that you find just the semi precious stone you are looking for, and not simply the one you have to settle for elsewhere. Our extensively trained loose semi precious stone experts are always on-hand to assist you in anyway when it comes to selecting that perfect semi precious stone. Our number one priority here at Alpha Imports is to provide you with the most spectacular semi precious stones, offered everyday at the best and most competitive values in the industry! Your complete and total satisfaction is always guaranteed with every semi precious gem purchase you make with us! Order loose semi precious stones online today or give us a call at 800-56-ALPHA for additional information on our current selection.